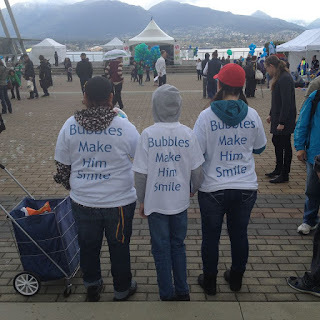 Join my sister, me, and Bryce at the Canucks Autism Network Family Festival on Sunday, April 24th, 2016 at Jack Poole Plaza rain or shine! It's a fun-filled, family-friendly event that will help build awareness about autism in our community and raise funds hat support the programs and opportunities provided by the Canucks Autism Network. The 5th Annual CAN Family Festival will include live performances, a fundraising walk, exhibitor fair, food trucks, appearances by local sports celebrities, interactive demos, and family-friendly activities! P.S. Here's a video I made from last years event!